The Cowgirls (10-5, 3-3 MW) picked up their first road win of the season, taking care of the San José State Spartans (1-16, 0-6), 70-56. 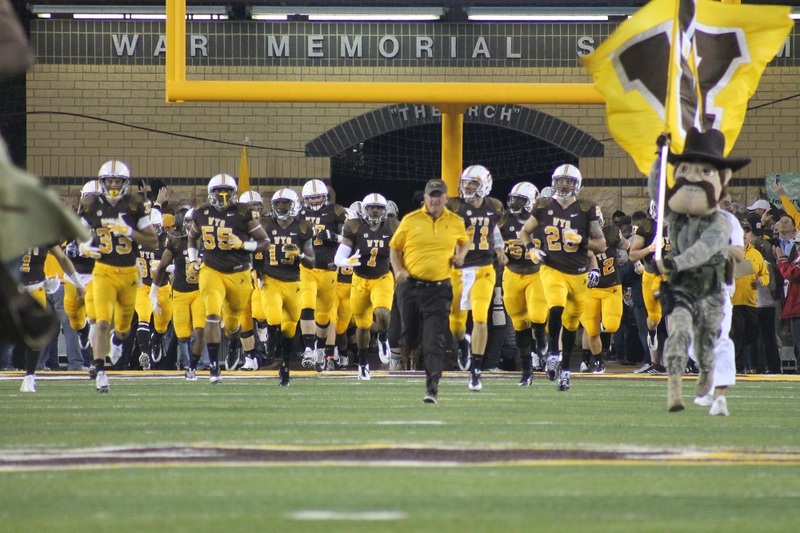 Wyoming evened its conference record with the win, and snapped its only two-game losing streak of the season so far. The Cowgirls were led by senior Marta Gomez, who scored 20 points and grabbed five rebounds, as it was the fifth 20+ point game of her season. Junior Taylor Rusk and freshman Karla Erjavec joined her in double-figure scoring with 14 and 13 points, respectively. Both players shared the ball exceptionally well, finishing with a combined 13 assists. Senior Bailee Cotton had her fourth double-double of the season with 11 points and a career-high 15 rebounds. She also took her team-leading 10th charge of the season on the defensive end. The Cowgirls shot 45.8 percent (27-of-59) from the field, 26.3 percent (5-of-19) from three and 57.9 percent (11-of-19) from the free throw line. Wyoming ended the game with 21 assists and 11 turnovers. It is the fourth time the Cowgirls have had at least 20 assists in a game. The Spartans were led by Cydni Lewis, who scored 16 points and had seven rebounds. Rziya Potter and Fieme’a Hafoka joined her in double-figure scoring with 12 and 10 points, respectively. The Spartans shot 36.7 percent (18-of-49) from the field, 28.6 percent (2-of-7) from three point range and 78.3 percent (18-of-23) from the free throw line. The Spartans are just the fifth team to make at least 10 free throws against the Cowgirls this season. They finished with eight assists and 13 turnovers. Cotton opened the game’s scoring with a layup, and a pair of Gomez three’s put the Cowgirls up 8-2 early. In fact, Gomez scored 13 of Wyoming’s 22 first-quarter points. Rusk joined the scoring with a three of her own to put the Cowgirls up 16-6 at the 3:32 mark, and Wyoming used a 6-4 run to close out the quarter, 22-10. It took Wyoming three-and-a-half minutes to score in the second quarter. The Spartans used as 10-0 run to get within two points, 22-20, before Rusk scored a layup. A Rakovic jumper at the 5:11 mark put the Cowgirls up 27-22. Both teams struggled from the floor, but the Spartans made it to the free throw line in the second quarter, and cut it to 29-28 with less than a minute to go in the half. Rusk found a cutting Erjavec for a layup, but the Spartan’s 12th and 13th free throw attempts of the quarter went kept it close. However, Rusk was fouled with two seconds left, and she made both, giving Wyoming a 33-29 edge at the half. Cotton opened the half going 1-of-2 from the line, and Erjavec followed with a fast break layup. The Cowgirls scored the first seven points of the half before a Spartan layup fell. Erjavec found Gomez for a Cowgirl layup, and UW took a 45-33 lead into the media timeout at the 4:32 mark. But again, free throws brought Spartans back, and they made it a five point game, 47-42 at the 2:14 mark. Erjavec drained an elbow jumper, and after a defensive stop, Tapia made two free throws to give Wyoming a 56-44 lead at the end of the third quarter. Erjavec and Gomez combined to make the first four points of the final period, but an SJSU layup answered. The Spartans called timeout at the 6:46 mark, trailing 62-48. Cotton scored her 11th points of the night on a wide open layup, giving Wyoming a 67-50 lead at the 2:35 mark. The Spartans called time after back-to-back baskets made it 67-54 at the 1:49 mark, and the game ended 70-56 for the Cowgirls. The Cowgirls return to action on Wednesday, January 23, when they host league-leading Boise State at 1 p.m. (MT) in the Arena-Auditorium.